Today I'll be reviewing a juice from Midnight Vapes Co. called Rolly. This juice (and coincidentally the company it is made by) is entirely new to me and I am absolutely pumped about it. Rolly is a Max VG juice that is quite thick and crystal clear in appearance. I have to say that I am very fond of clear liquids, simply because it tells me that only the finest and purist of ingredients went into them. No artificial colors or bad nicotine oxidization in this juice and that's just the way I like it. The obvious goal here flavor-wise is a replication of a Fruit Roll-Up. There are a variety of flavors of those though, none of which I eat, so I haven't a clue as to which particular one this is supposed to be. I can't tell you what exactly what this flavor is, or even what flavors it's composed of, but one thing I can tell you: this juice is amazing. There is definitely a hint of a vaguely "fruit leather-y" flavor to this juice, but that's where the comparison to Fruit Roll-Ups ends. Rolly, to me at least, comes off as basically just a really excellent blend of indiscernible fruits that never gets old. It really doesn't. I don't get vape tongue from this, no matter how much I vape. It always tastes like a perfectly sweetened fruit blend and never diminishes in flavor. The only negative point I can think of here is that I have no clue what flavor of Roll-Up they were going for, and unless you're a diehard fan of them, neither will you. 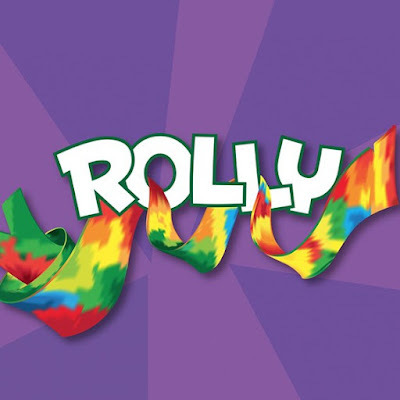 Regardless, I wholeheartedly recommend Rolly to anyone and everyone as a must-vape juice. I'm naming Rolly as my official Best Juice of 2015. Want this juice? You can get it at Vape-One (www.vape-one.com); don't forget to use the code 'Ballerina10' for 10% off of your order.